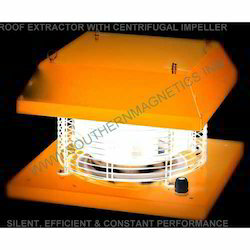 Leading Manufacturer of roof exhaust fan, powered roof ventilators and roof extractor fan from Chennai. We specialize in manufacturing an extensive range of Roof Exhaust Fan which are widely demanded in large number of industries owing to their extra ordinary features. This machine is resistant to wear and tear and requires no lubrication as the impellers fitted rotates with no contact between itself and the casing. We are a trusted name in the industry for manufacturing and supplying Powered Roof Ventilators. 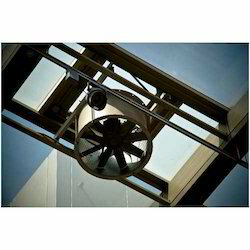 The offered roof ventilators are ideal for providing ventilation in industries, power plants and restaurant kitchens. These ventilators are made in a sophisticated manufacturing unit and are in adherence to the latest market trends. We are well-equipped for handling bulk orders. 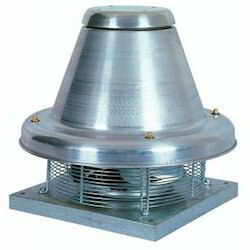 We are among the prominent manufacturers and exporters of Roof Extractor Fan. The offered fan has been made from superior grade materials and is unparalleled in terms of performance. It is used for providing ventilation in kitchens, factories and power plants. Being sturdy in terms of construction, it is ideal for heavy duty usage. Our fan is energy efficient as well. Looking for Roof Extraction System ?